Blockchain technology is revolutionizing many industries, but none more prominently than finance. 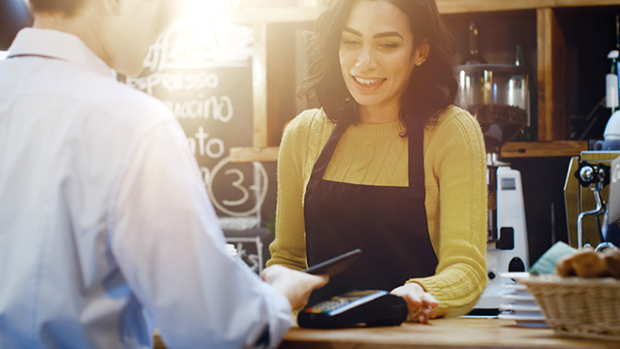 There is a new generation of payment processing on the horizon, which is something entirely novel for the traditional global financial system. This Fintech revolution should not be too surprising as investments in the sector totaled $55 billion last year, according to global management giant Accenture. As significant, PwC notes that legacy financial service providers such as banks, have become the most active in developing the technology. Although there are common areas of concern regarding the switch to digital payment systems, including safety, using blockchain is advantageous for financial institutions, governments, and individuals because it is more transparent, reliable, secure, and cost-effective. This revolution is coming with sweeping changes, especially with the increased capability of technology to handle transactions that banks traditionally facilitate. The advent of blockchain-enabled trustless and decentralized forms of transfer has, in essence, democratized the sector. Banks are sidelined as blockchain-enabled consumer channels such as social media, and mobile phone providers mean consumers can effortlessly adopt and later execute a plethora of payment types with the institutions they already trust and regularly use. In line with this democratization of payment providers, BlocPal International Inc. is bringing its technological innovation a step further by allowing consumers to set up a digital account by merely verifying their identity. Many of the world’s disadvantaged do not have any financial service at all, including a bank account. They instead rely on cash for a variety of reasons including the cost of banking services and a lack of trust. With only identity as its primary requirement, Blocpal’s blockchain-enabled digital wallet brings financial services to the unbanked disadvantaged, enabling them to conduct microtransactions safely and securely. 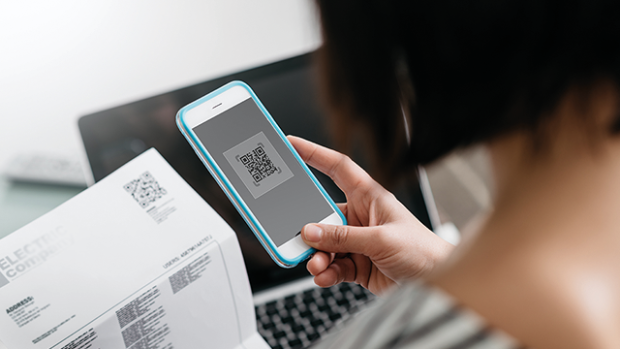 These consumers are further encouraged to use BlocPal’s digital wallet because it is co-branded with an institution they already use and trust, such as Grupo Movil. According to McKinsey & Company, revenues for the Global Payments Industry are expected to total $2 trillion next year. To take advantage of this market and capitalize on opportunities within the space, BlocPal is harnessing blockchain’s decentralized nature to design a network in which any currency or asset can be digitally signed and exchanged. Its built-in flexibility and ease of customization allow the company to support a multitude of enterprise partners and their customers. This is a critical advantage that should significantly accelerate BlocPal’s adoption as a white label solution. Giant companies like Grupo Movil can easily incorporate it into their already established customer channels as an additional service, thus generating more revenues while increasing customer loyalty. In addition to the excellent security and safety of BlocPal’s platform, it will also aim to minimize the global “unbanked” adult population – those who do not have their own bank account. While modern technologies have significantly reduced the number of unbanked adults in recent years, the number is still estimated to be around 1.7 billion according to The World Bank; this unbanked segment represents 22% of the global population. Through their safe and seamless digital wallet technology, BlocPal is propelling its mission to empower disenfranchised individuals through financial independence. BlocPal has been actively seeking partners who can offer this technology to their existing customers, translating to an explicit endorsement by a trusted institution that concurrently makes using the BlocPal wallet almost effortless. That search recently landed on a deal with Grupo Tortooga, a division of Mexican prepaid mobile airtime supplier, Grupo Movil Mexico (“GMM”). — Nick Mellios, CEO, BlocPal International Inc. The company’s recently announced partnership with GMM’s Grupo Tortooga will incorporate BlocPal’s platform into a digital wallet that Grupo Tortooga will make available to GMM’s 40 million customers while leveraging their 60,000 merchant partners as they will offer physical locations where customers can load their wallets or conduct other transactions. The Tortooga wallet will initially provide support for Mexican peso, U.S. dollar, and Canadian dollar transactions and will be integrated with third-party financial services based on the needs of Tortooga’s customers. The Tortooga wallet will allow users to pay utility bills, send money and purchase mobile airtime. A typical payment that users would make is to top up their mobile accounts with more airtime. The digital wallet will also allow them to pay for utility bills in Mexico and to exchange money with friends and family across North America. Moreover, the product would enable users to purchase prepaid credit cards, and buy other products offered for sale by participating merchants. This digital wallet will differ from online banking or pay-by-phone services in that users do not have to set up a bank account or credit card to use the system. Because blockchain technology is inherently decentralized, BlocPal argues that its digital wallet is less vulnerable to hacking than products such as Apple Pay, which are hosted on centralized servers. Additionally, using a digital wallet is more seamless when sending money transfers, which tend to have hidden fees that senders and receivers may be unaware of. Banks, in particular, can take advantage of international money transfers as they charge some of the highest fees for this service. The deal with Grupo Tortooga gives privately-held BlocPal a solid base in the digital payments market, as the company intends to go public in 2019. The timing is meant to coincide with the rollout of the partnership, thus giving investors abundant evidence of its viability. The BlocPal platform has global potential, not only as a means for many of the world’s disadvantaged to finally acquire financial services critical to their advancement, but also for mainstream businesses and consumers as they buy and sell products and send money around the globe. Critical to BlocPal’s growth is its platform’s already demonstrated ease of adoption by other businesses as a white label solution. This rollout, together with the compelling financial services it offers consumers via their already trusted channels, could translate to it becoming a transformational player in FinTech.